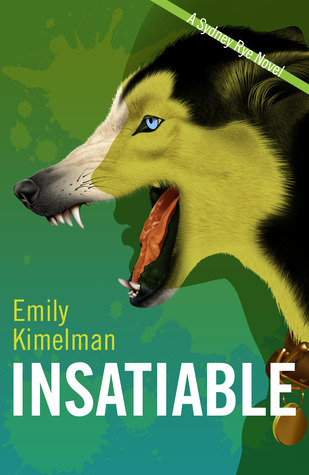 Goodreads: INSATIABLE begins with private detective Sydney Rye living a simple, disciplined life in London, but when a dangerous man from her past calls, Rye finds she cannot turn him away. Robert Maxim explains that the daughter of a powerful friend has gone missing and he wants Rye to find her. In exchange he offers her something she had given up hope of ever having; freedom from her past. With her dog, Blue, at her side, Rye meets up with her new partner, a handsome man she's not sure she can trust. Heading for Mexico City, they go undercover, posing as husband and wife. After meeting with the bereaved parents, Rye starts to sense that there is more going on than just a missing girl. But it isn't until they arrive in the Yucatan Peninsula, hot on the girl's trail in Paradise, that all hell breaks loose. Sydney has to reach out for help from old friends and deal with the consequences of her past, if she's going to find the girl and keep them all alive. Kritters Thoughts: Another great book in the Sydney Rye series, it was easy to get back into her world and head out with her on her next adventure. Her contacts get in touch with her and send her on a mission to rescue a girl who has gone missing and although the task sounds simple; it is anything but a simple mission. From the beginning of the book and her mission, I knew it wouldn't go as planned and was just excited to see where it would all go up in smoke. I was not let down at all, just as I thought she may have it together, it implodes and I loved the ups and downs of her journey to get the mess cleaned up. I loved her cohorts in this book, they were entertaining and definitely added a little extra to this book. I would recommend this series to anyone who enjoys a little mystery in each book and a place where you can fall in love with a character and follow her through a few mysteries.